The opening Defected Croatia festival apparently set the benchmark high but the brand looks set to raise it even further. In August 2017 once again there will be an array of house DJs, disco icons and underground artists playing through the day and into the night for six days of top music. 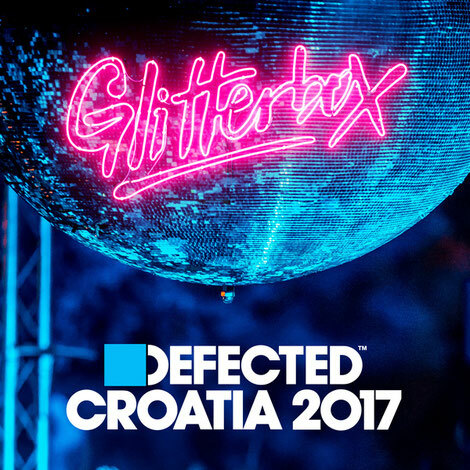 Following the phase one line-up announcement (which includes MK, Eats Everything, Dennis Ferrer, Roger Sanchez & Julio Bashmore) Defected recently announced the first Defected Croatia official partner. Having played at Space’s final season this summer and continued to party at numerous events at Ministry of Sound, Glitterbox will be hosting boat parties and stages throughout the week, sprinkling its timeless, inclusive and feel-good vibe on the Adriatic. Its aim is to create an even better, more truly unforgettable and welcoming outdoor clubbing experience and Glitterbox will add another sparkling dimension – aiming to promise the kind of legendary parties that you never want to end.